Who says you can't make a spiritual successor to Spyro alone in your study, without any coding experience? There might be more games on Steam now than any one person could see, let alone play. But for Dean Clarke, regular citizen of the online world, seeing his work appear in the navy blue environs of Valve’s storefront after so many years browsing it as a customer – well, it’s an adjustment. 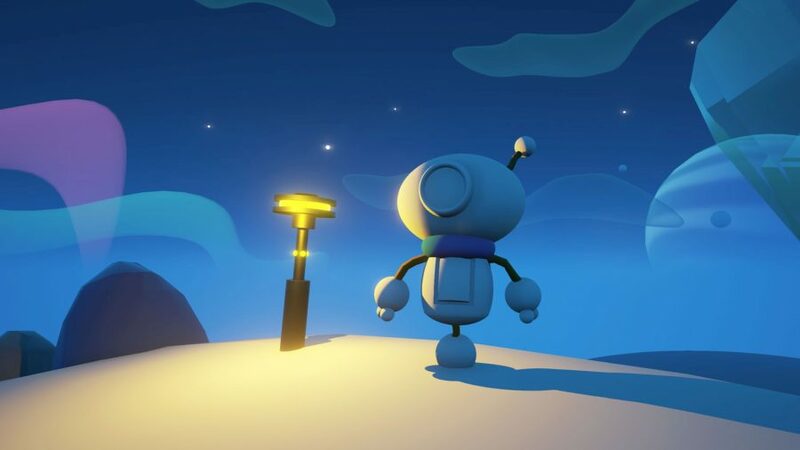 An open-world 3D platformer in the style of Spyro, Ascent: Crash Landing has made a quiet descent onto Steam – at least by the standards of triple-A publishers with marketing budgets and front page carousel slots. 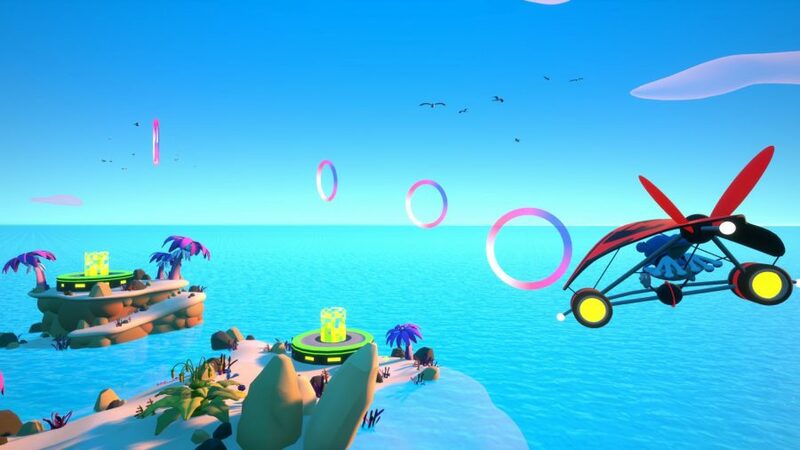 But it’s been public enough that Clarke has had the encouragement he needed – both to see the game through, from Unreal Engine 4 hobby project to full game in the fashion of the ‘90s games he loves, and to improve it as the levels and mechanics crystalise in beta. Several years ago, when Unreal Engine 4 was new, we saw Epic showcase a game made by a solo artist. At the time it seemed like an extreme demonstration of how accessible the engine’s Blueprint visual scripting could be, rather than an indication of how real games would be made. But that’s exactly what has happened in the case of Ascent. Clarke, a graphic designer with no training in programming, has put the platformer together entirely alone, with the exception of the music. When the game design students he had originally intended to collaborate with pulled out of the project early on, Clarke was already attached to the art he’d drawn up – and so decided to go through with it anyway. Clarke scoped his project carefully, knowing that some of the elements of the games he admired would be beyond him. Rather than shooting for the hyper-detailed worlds of triple-A, he settled on an art style that made a virtue of block colours and uncomplicated textures. When it came to scripting, however, he found that his art background came in unexpectedly handy. As Clarke’s technical expertise and ambitions grew, his ideas started to crack the modest pot they were first planted in. It wasn’t just the code that was changing, either, but also the design. 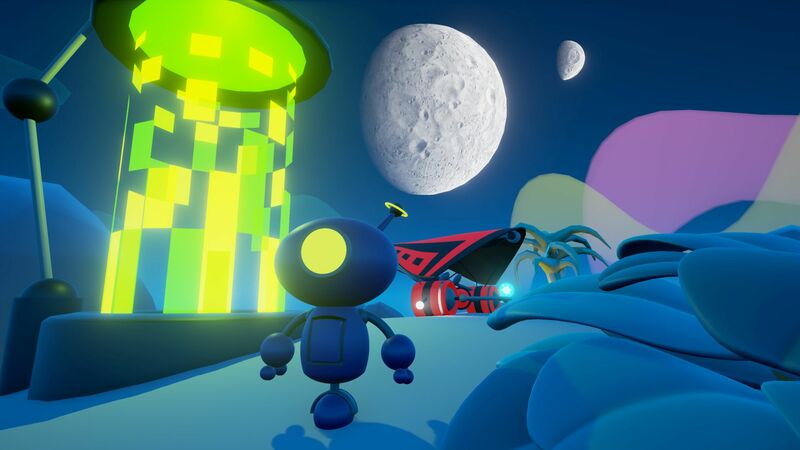 As protagonist Bluu and robotic sidekick Blip gained new skills, the early challenges of the game became simply too easy for them to overcome – sometimes game-breakingly so. In another way, though, Ascent’s ‘90s platforming roots have gelled unexpectedly well with the idea of a public beta and changing game. Just as Crash Bandicoot: Warped had a modular hub that made levels yet to be unlocked explicitly visible, Ascent shows its playable levels, as well as the space left for those Clarke has yet to release. “There are five portals in the hub world, three are green, and the others will be unlocked once I produce them. It’s nice because it keeps people interested, and I’ve had people in the Steam community asking me what else is coming. Ascent: Crash Landing is available in beta on Steam. Unreal Engine 4 development is now free. In this sponsored series, we’re looking at how game developers are taking advantage of Unreal Engine 4 to create a new generation of PC games. With thanks to Epic Games and Spark Games.